Hi friends, how are things? Today’s a snow day here in Iowa, which is always a nice excuse to stay home curled up under the blankets. The wind is howling and the snow is blowing, but it’s nice and cozy inside! Are you getting hit with snow today, too? I spent a grand three hours being an Iowan and caucusing last night (one hour in line, two hours actually caucusing). Since that took the bulk of my night, I thought I’d just pop in today with a quick post and some freebies for you. Are you one of those people that goes all out with Christmas decorating, but never really gets around to decorating for any other holidays? If that’s you, you’re not alone. I’m right there with you. How about we make this the year that we get around to decorating for some of the other holidays throughout the year? Right before Christmas, I built a picture ledge for above our couch. 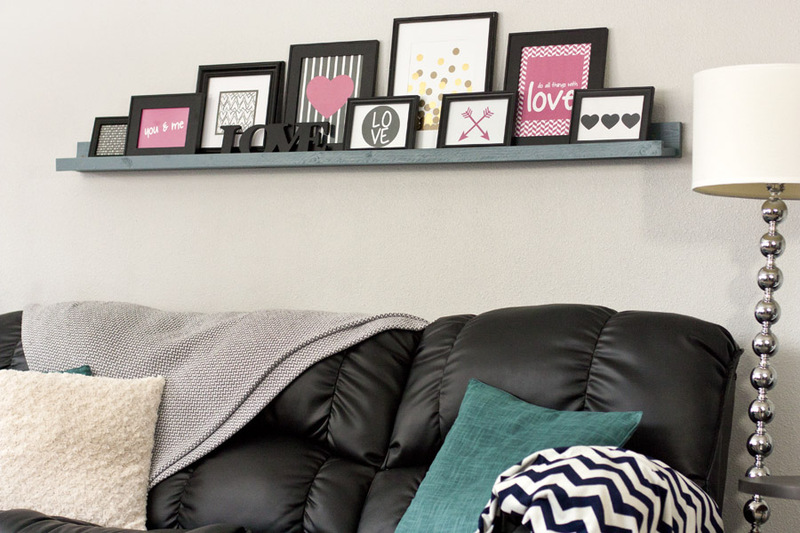 It’s a great way to add a gallery wall without pounding a bazillion nails in the wall, and a ledge makes it incredibly simple to switch out the artwork or even the frames themselves. That means I have no excuse not to update this picture gallery often. I’ve deemed this picture ledge the place in our house that’s going to change with the holidays and seasons. Our house may not get decked out in red hearts and hot pink garland, but at least there will be a bit of holiday cheer rotating through these frames all year. 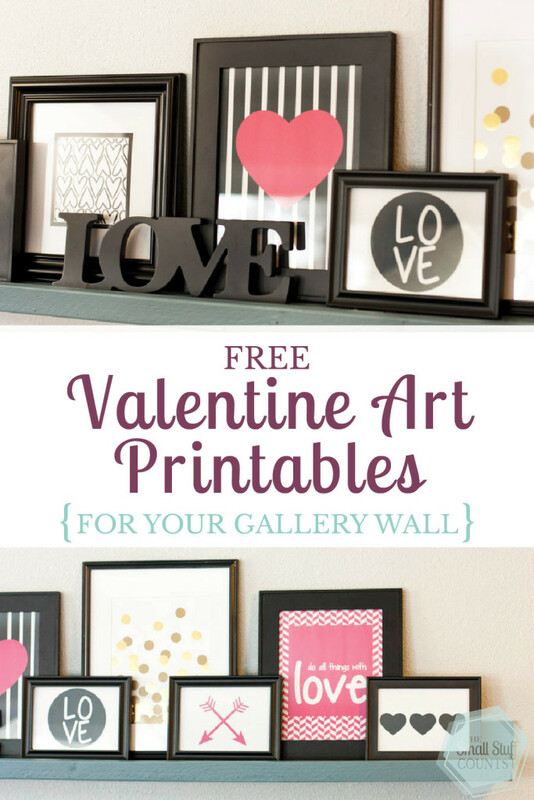 Since cleaning up the Christmas decorations a couple weeks ago, these frames have been sitting there empty and begging for some new artwork, so I whipped up some fun Valentine’s Day printables. And of course I wouldn’t just design these prints and keep them to myself. I love sharing with you! 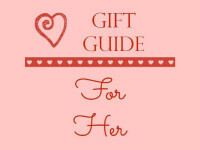 Download your free Valentine printables here. 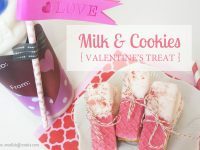 I designed an assortment of Valentine’s Day printables in a super happy bubble gum pink. Honestly, I’m not usually big on pink, but I figured this holiday is a good excuse to show the color a little love. I added these new printables to my frames along with a few pieces of scrapbook paper. If you’re ever looking for super simple frame fillers, scrapbook paper is the perfect solution, especially if you buy a book of scrapbook paper that has coordinated colors and designs. My husband claims that my bright pink gallery wall belongs in a 16-year-old’s bedroom, but I think it looks perfectly festive. Thankfully, he pretty much gives me free reign to decorate, so we get to have a pink gallery wall for a couple weeks. 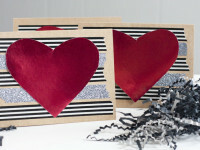 Now it’s your turn to switch up some of your frames with a little Valentine’s Day happiness. 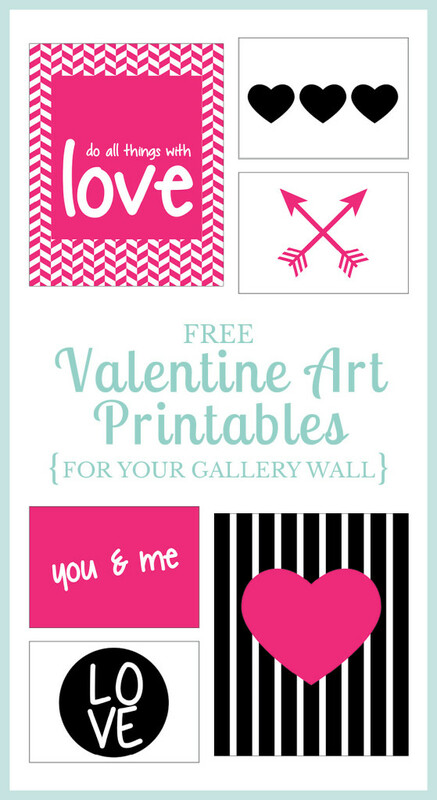 Download your free Valentine printables here and print them on regular printer paper. When you go to print these out, change your printer settings to center the files on the page. This is a set of two 8x10s and four 5x7s, so once all the pages are printed out you’ll need to trim along the borders. Happy Valentine’s decorating! And if you like these printables, I’d be grateful if you’d pin this image before you go. Have a wonderful day and stay warm! 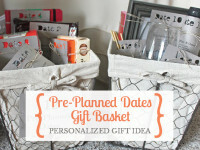 Thanks for the printables and the shelf decor idea! I especially like the picture with the gold dots (which I think I saw in another shelf picture you shared) and the “love” and hearts prints. I’m so glad you enjoy the wall prints, Lizzie! Happy to share with you. The gold dots picture is actually a piece of scrapbook paper I pulled from a book of gold themed scrapbook paper I bought a while back.